RePack by KpoJluk — Multilingual registered version! RePack by D!akov — Multilingual registered common and portable versions in one installer. 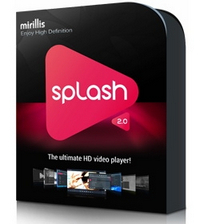 Mirillis Splash lets you watch and convert your videos like never before — superb performance, smooth motion, crisp details and vivid colors. Enjoy the best video quality and unique user experience! Try now! Picture² — stunning video quality! Watch high quality DVB-T television with pleasure. With user friendly interface and the ultimate video decoding performance Splash provides easy navigation and fast channel zapping. Rediscover standard television with high quality and power saving image post-processing technologies. 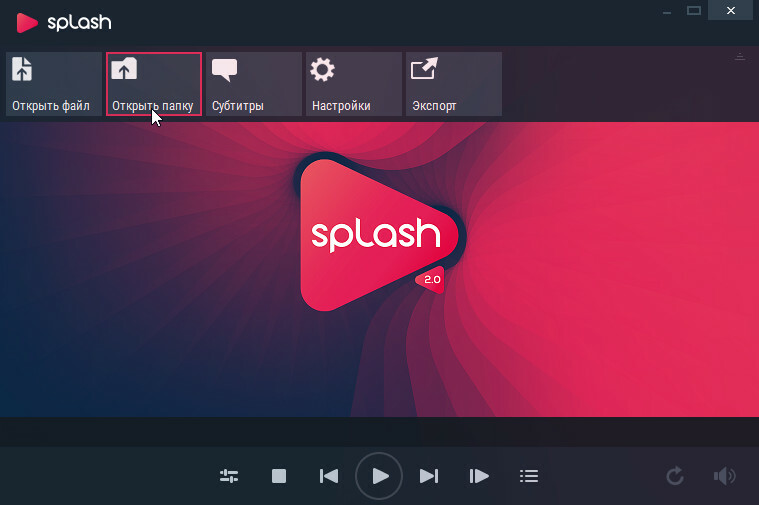 Splash supports all popular subtitles formats including internal and external file formats. Loading subtitles with Splash is extremely easy and with a few simple options you can quickly adjust subtitles font type, font size, color and position. Splash supports AVCHD™ format. Rediscover High Definition quality with Splash and state-of-the-art Picture² technology! Watch your 20/24/25/30p clips smooth like never before with Motion² technology. Convert your videos with advanced video preprocessing technologies. Splash high quality scaling keeps your videos sharp and clean every time you export your original video to lower or higher resolutions. The technology is optimized for multicore CPUs to provide an excellent performance. Think green! Save energy, save your money and enjoy longer video playback on batteries with the ultimate Splash video playback and converting performance. Use Splash with the latest NVIDIA®, AMD and Intel® hardware accelerated video decoding and encoding technologies to reduce your PC power consumption. Type: setup | Unpacking the portable version. Size: 0,12 / 8,87 / 11,79 MB. он уже не Premium а БЕСПЛАТНЫЙ и Only Medicine ненужна больше!